If you like to apply cool effects in photos, you should once try Textify.it. It is a nice web application that converts an ordinary photo into beautiful Text Portraits. You can select different fonts, filters, and backgrounds to apply into text portraits. This tool also lets you download cool portraits. Visit Textify.it and browse your photo. You can also drag and drop your photo to upload. Once your photo is uploaded, you can access the options at the top right corner of the page. By default, it creates a portrait of A, B and C characters. There are also few pre-defined presets which you can use. You can also select custom characters. 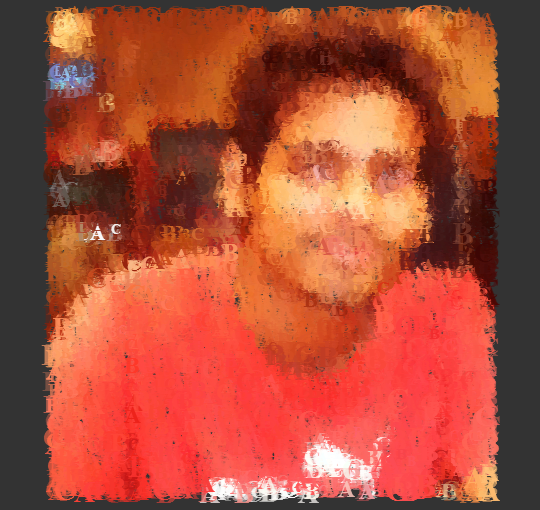 By default, it converts the image into colorful text portraits. But you can choose Black & White or Sepia filters. You can also select font and font weight. Once you are done with selecting options for your portrait, click on “Apply Settings” button. You can also download the text portrait by clicking the save button at the left side of the page. Textify.it is also available for iOS devices. You can download it from iTunes and enjoy the cool text portraits from your iPhone or iPad.